Data Interpretation is one of the toughest sections of the Banking Examinations. Most of us certainly look to neglect the data interpretation part with the online banking exams, as it is very time consuming. Just in order to make you feel comfortable with the Data Interpretation section, we bring you some of the best in class practice Data Interpretation questions. Please try solving the questions before you get the answers given below. 1. 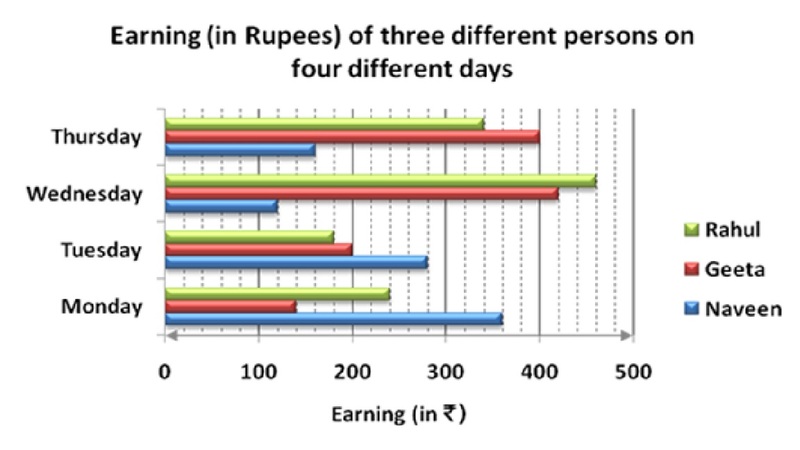 What is Gita's average earnings over all the days together? 2. What is the total amount earned by Rahul and Naveen together on Tuesday and Thursday together? 3. What is the difference between Rahul's earnings on Monday and Gita's earnings on Tuesday? 4. Gita donate her earning of Wednesday to Naveen, What was Naveen's total earning Wednesday after Gita donation? 5. 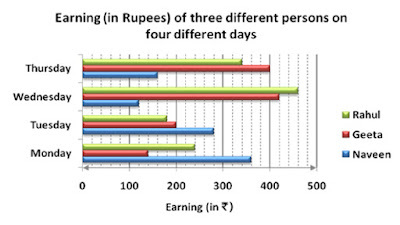 What is the respective ratio between Naveen's earning on Monday, Wednesday and Thursday? Directions (Q. Nos. 6-10): Study the following pie-chart and answer the following questions. 6. What is the difference between the total employees in teaching and medical profession together and the number of employee management profession? 7. In management profession three-fourth of the number of employees are female. What is the number of male employees in management profession? 8. 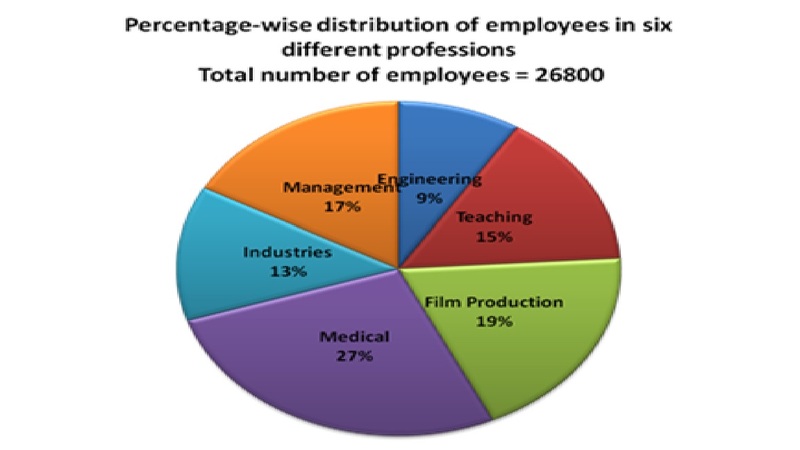 25% of employees from film production profession went on a strike. What is the number of employees from film production who have not participated in the strike? 9. What is the total number of employees in engineering profession and industries together? 10. In teaching profession if three-fifth of the teachers are not permanent, what is the number of permanent teachers in the teaching profession? Hope you tried the above Data Interpretation Practice Questions to your level best. Those who don’t find or confused with the answers, please find the given below answers.